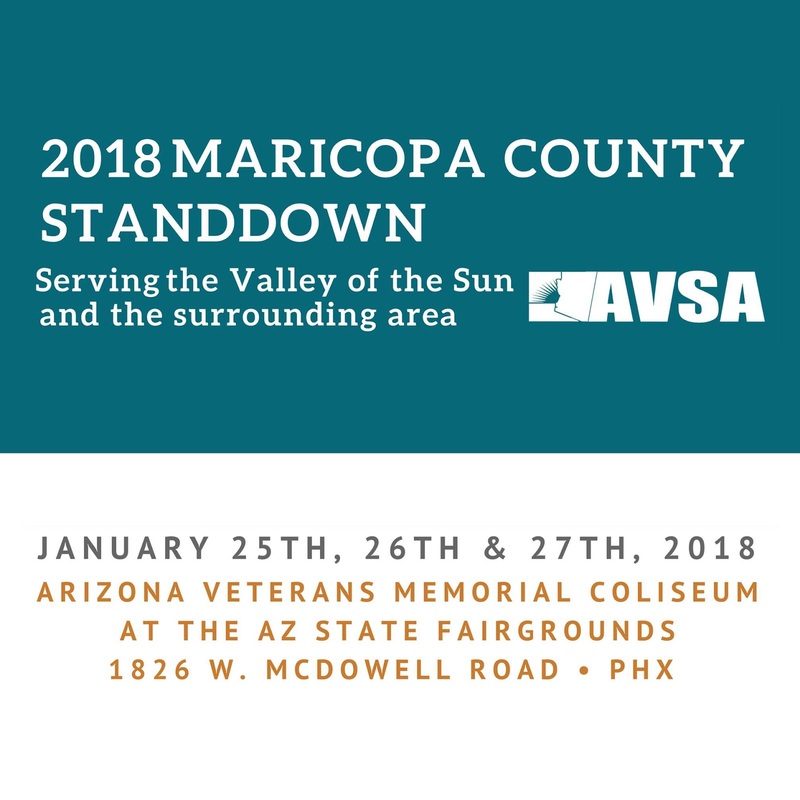 Attention Maricopa veterans. Do you and your family need a helping hand with housing, employment, clothing or other essential services? 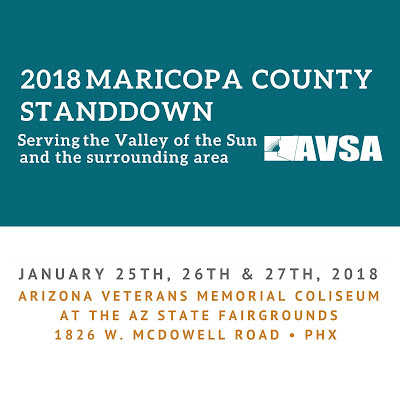 The Arizona Veterans StandDown Alliance and Arizona Housing Coalition are hosting the 2018 Maricopa County StandDown to help you, Jan. 25-27. More than 2,100 veterans benefited from this event in 2017! Rio Salado and the Maricopa Community Colleges encourage students, faculty and staff to volunteer their time. Maricopa Community Colleges employees are encouraged to register through the Maricopa Learns through Service HCM portal. For questions, please contact Dee Dee Tapson at 480-731-8299 or via email at creative.pathways@domail.maricopa.edu. Maricopa Community Colleges students are encouraged to register using this Valley of the Sun United Way portal.